Have you ever thought of making cactus plants and other cactus crafts with your crochet skills? If not then you must give this thought a try because this ideas is not only unique but also will look amazing. We have so many crochet cactuses here that you can easily learn and decorate your space with them. For all of these projects you will only need some of the basic supplies, crochet yarn of your favorite color and you are all set for this series of projects. All the projects have tutorials with them in the links given below them so that you won’t miss any of the minor details of any of any of the project. All these projects are done in beautiful shades of mostly green so that they could be relevant and gives that cactus feeling at once. 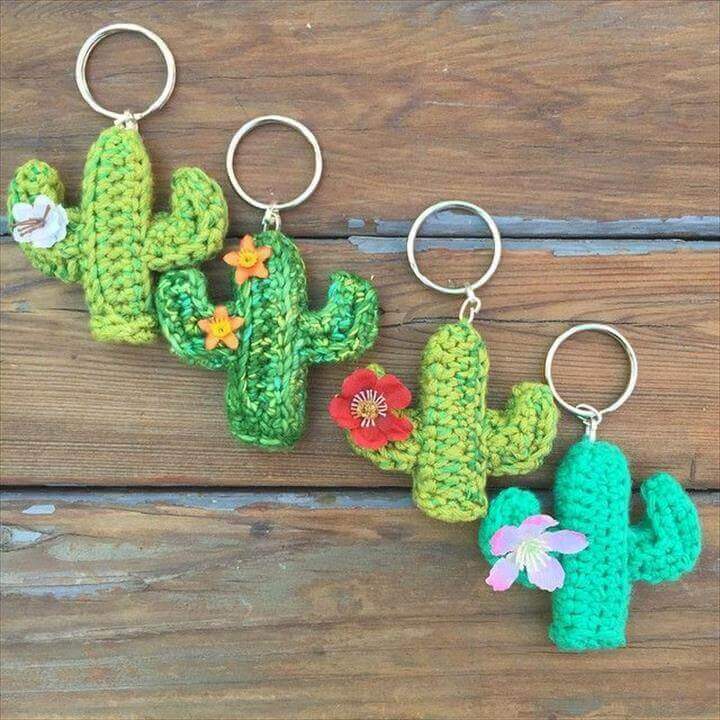 Not only the plants but also you can try making some absolutely stunning cactus keychains with crochet. Besides this you can also make cushion and pillow covers with cactus crochet theme. Cactus hanging plants will also beautify your space as you can see here in this project. Have a look at this cactus pincushion project here and try doing this with just a few crafts and some extra ordinary love for creativity and innovations. Stuff some of the crochet cactuses with cotton and this will turn this into a pincushion for your pins and needles. Not only these projects are cool and easy but also budget friendly and will not consume much of your time. You will definitely be proud of all your efforts made for these exciting projects at the end of the day. Share these 12 Crochet Cactus Tutorial – Creative Ideas with others also so that they may also create some of the amazing masterpieces for their home decoration.